Oddly enough, it is these cherished recollections of moments in the past that keep us stepping out into the unknown moments of our future. Especially when these memories remind us of the faithfulness of our God. we remember the cross, the God who saves, and the promise of the resurrection. Ohhh, this is beautiful! I love how you put this together. PERFECT and so filling! Writing with you . . . Beautifully written! Thanks so much for sharing! Thank you! Its so nice to read this. Thanks for the gift of your words. Just stumbled by from Lisa-Jo's! 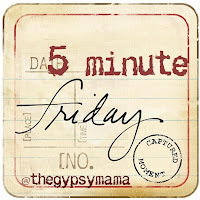 This is really fantastic Five Minute post! Each of those examples are amazing, and I love this ending: "We look back.....and remember. God reminds us over and over again for good reason, doesn't He? I was playing right around the same theme today and in my head lately. :) I love the way you put it. Awesome take on the prompt! So creative and beautifully written! Love, love, love this! So beautiful! We look back and we remember a God who is faithful. So thankful for the memories too, Stacy! !